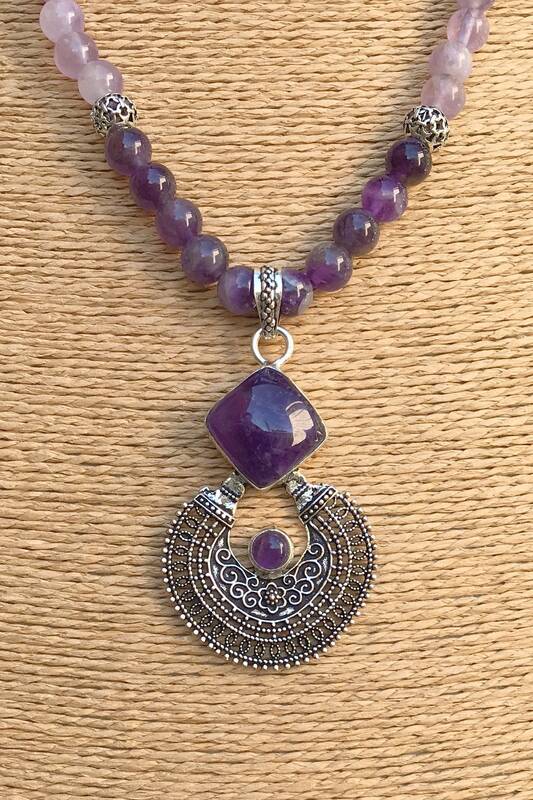 Violet Amethyst Beads with silver beads and ethnic style pendant with amethyst. 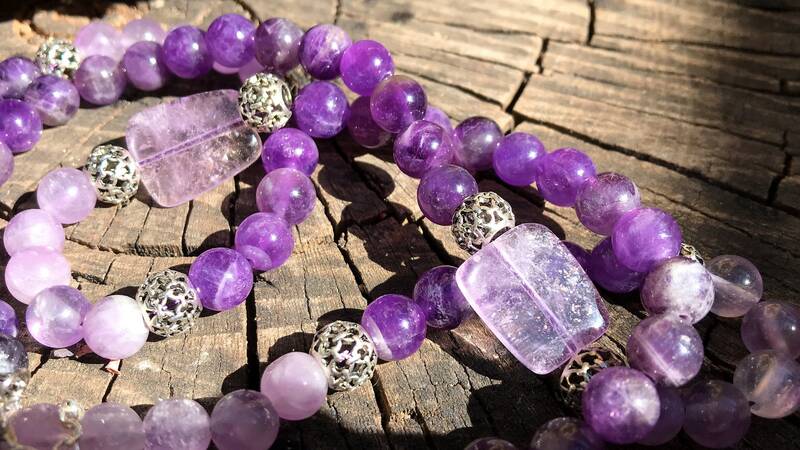 The Greeks and Romans drank in amethyst glasses to avoid drunkenness, in the Middle Ages, Konrad von Megenberg (1309 – 1374 scholar, naturalist, German Roman Catholic writer), accurately classified the amethyst as a mineral that "makes people Courageous, with sanity and driving away bad thoughts, "the magnificent jewellery of mid-Victorian (1860-1880): The magnificent period coincided with the death of Albert, the husband of Queen Victoria, pushing to a period of mourning. Certain pieces of jewellery from the magnificent period have a dim, austere and gloomy design. 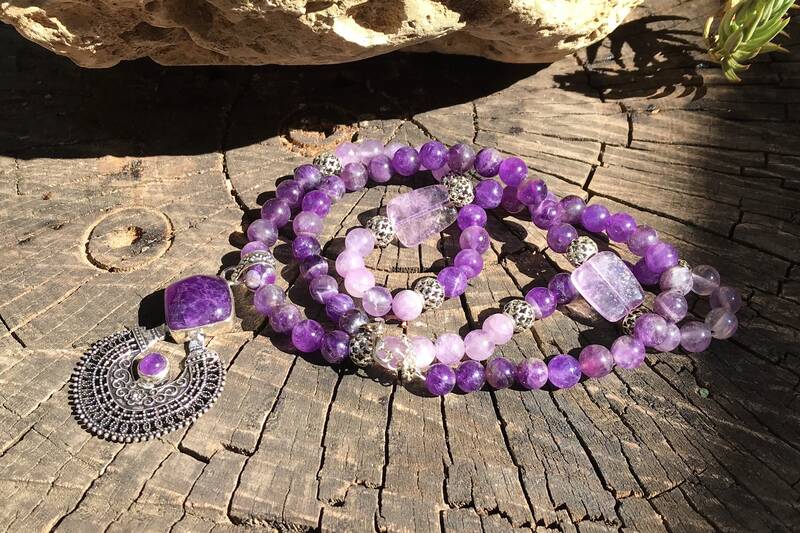 Known as the mourning of jewellery, these pieces stand out for having heavy and dark stones, such as Amethyst among others, Catherine the Great of Russia and many nobles throughout history also used amethysts. 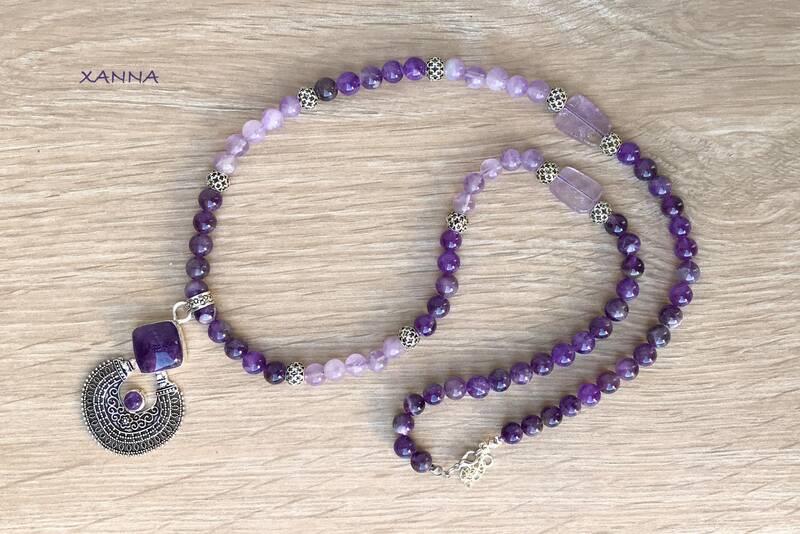 It is perfect for meditation, it protects against the negative energies of the environment. Provides support to cope with losses, boosts memory and improves motivation. It also racks up recurrent nightmares and hatred, fury or anger. 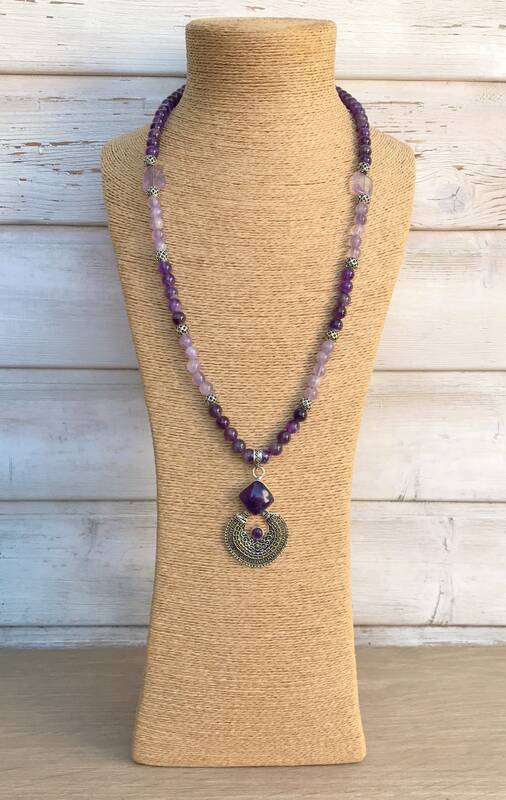 This stone facilitates the decision making process, enhances the assimilation of new ideas, opens the intuition, is a relaxing stone.